The Northern Dales Richard III Group was founded in 2013 in Barnard Castle after the timely discovery of the lost remains of Richard III in August 2012. 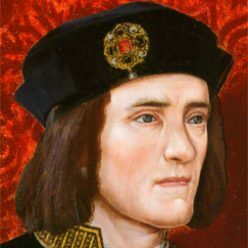 Fresh interest and enthusiasm combined with well-established local Richard III connections drew together long-standing Ricardians as well as those newly fascinated by the recent events. Our informal group meets every 4-6 weeks in Barnard Castle to study aspects of late C15th history with particular focus on the reign and reputation of Richard III and his local links. Members attend from across Teesdale and Swaledale, Darlington and district, and as far as Northallerton and Northumberland.